Carole Jeanne Raether, formerly of New Berlin, WI, passed away peacefully on Tuesday evening, January 22, 2019, after a short, but courageous battle with cancer. She was born on the family farm in Pierce Town, Kewaunee County, the first child of the late Myron and Violet Schmidt Raether on April 24, 1941. 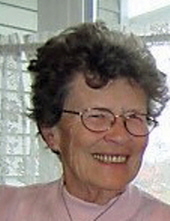 She attended Longfellow Graded School, St. Paul’s Lutheran Elementary School, and graduated from Algoma High School in 1958. Upon graduating, she attended Winnebago Lutheran Academy for two summer sessions and Dr. Martin Luther College of New Ulm, MN for one year. After that short course in education, she went on to teach for eight years at St. Matthew’s Ev. Lutheran School in Oconomowoc, WI. After teaching, she went on to work briefly at Western Electric and Generac Power Systems before beginning a more than 30-year career at Waukesha Cutting Tools in Waukesha, WI. She started WCT as a machinist and worked her way up to computer programming. After her retirement from WCT, Carole continued to work at Walmart in New Berlin well into 2017. Carole was passionate about animals and nature. She had many pet dogs and cats during her lifetime, (and also one very brash parrot! ), and spent many weekends working to rehabilitate injured owls, hawks, eagles, and other raptors in Horicon, WI. She also loved spending time at the East Troy Railroad Museum where she had an active interest in trolley cars. Carole was also actively involved in the Butterfly Restoration Project, an extension of the Friends of the Butterfly Trail in Waukesha County. After suffering a major stroke in late 2017, her last year was spent at the Algoma Long Term Care Unit, where, even though her health was impaired, she was able to keep up her wit and humor. She was always ready with a funny remark, a smart answer, or her infamous raised eyebrow and rolled eyes. Carole was preceded in death by long-time friend Susan Lindberg and sister-in-law Liz Raether. She is survived by three brothers, Dale, Wayne (Sharon), and Leon, all of Algoma, as well as two nieces, her cat Roxy, and many friends that she made along the way. Carole was an amazing lady and will be missed by all who knew her. Special thanks to the entire staff of the Algoma Long Term Unit who took such wonderful care of Carole and always made her feel at home and Unity Hospice for their special care to Carole. No memorial service is planned. Instead, treasure your memories of Carole. Inurnment at Highland Memorial Park in New Berlin, WI will take place at a later date. The SCHINDERLE FUNERAL HOME, INC., Algoma, assisted the family with arrangements. To send flowers or a remembrance gift to the family of Carole Jeanne Raether, please visit our Tribute Store. "Email Address" would like to share the life celebration of Carole Jeanne Raether. Click on the "link" to go to share a favorite memory or leave a condolence message for the family.